DYNAMOS newboy Masimba Mambare might have to wait a little bit longer before making his debut in the Castle Lager Premiership as his injury is a bit worse than initially thought. 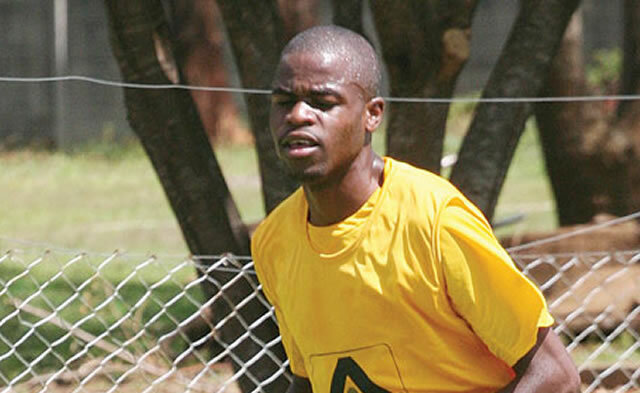 The midfielder, who limped off the pitch in the semi-final of the Independence Cup against Harare City on Sunday, has not been able to report for training as he is being examined by the doctors. The full extent of the injury is expected to be known today when the doctor completes all the examinations. Dynamos now have a new doctor who began work this week. Yesterday, coach Callisto Pasuwa said he was advised by the doctors that an MRI scan performed showed that blood had filtered into the tissues of the injured knee and the situation was rather bad. The coach, however, did not know for how long the player would be sidelined. For the DeMbare family, the injury comes at the wrong time as Mambare appeared to have settled at his new club, providing some crucial goals and extra edge to the team’s attacking flair. After yesterday session at Zimphos ahead of the trip to Bulawayo this weekend, Pasuwa said Mambare will be missed on Sunday as he had adjusted quickly. “Mambare had brought stability in the midfield going forward. He was faring very well. His mobility helped strikers so I was addressing them today that they need to work extra hard to fill in the gap. “He is a player who puts in 120 percent effort. We will hear more information from the specialists today,” said Pasuwa. The DeMbare coach, while facing a dilemma over the unavailability of some of his key players due to injuries, said he will not really bemoan their absence with Partson Jaure also expected to miss their opening six games due to suspension. Actually, the Warriors assistant coach, who is expected to have a new defence partnership in the Sunday game against How Mine in the absence of Jaure and Gift Bello who moved FC Platinum, said it was time for other players to rise and shine. “The defenders have to rise to the occasion. We don’t buy players to sit on the bench so with Jaure out it is time for other players to rise and shine,” he said. DeMbare have other defensive options in Sydney Linyama, Themba Ndlovu and Victor Kamhuka. The coach said they were ready for the new league starting with the match against Chikurupati. “We have to approach the game with a positive mind. In the game against Harare City we missed a lot of chances so we have been working to be offensive in the box. “In terms of fitness we are at par with How Mine. They have been participating in the Caf competition like us so the better team has to win,” said Pasuwa. The team will also be without vice-captain Tawanda Muparati and leftback Ocean Mushure while other senior players such as Tafadzwa Rusike, Clive Kawinga and Murape Murape, who had knocks, are recovering. Their injury-prone striker Simba Sithole limped off towards the end of training yesterday after receiving a knock and the technical department will further assess him today. Pasuwa said they are ready for the new season. “It is a marathon. We would love to have a positive result but in a game there are three results. “DeMbare we are ready and hope that this time we will do better than what we did the last time we met,” he said. Dynamos lost by identical 1-0 margins in the second round of the league championship and in the quarter-finals of the Mbada Diamonds Cup last season. The Harare giants thrashed the Premiership newboys 3-0 at Rufaro in their first league meeting. The coach said it was also a relief that they got to register 35 players for the season as most of his players were bruised and nursing various injuries following their participation in the Champions League. During the weekend Independence Cup semi-final match, the team had to include some of their junior players like Travolta “Okocha” Fireyi, Tatenda Mukuruva and Blessing Moyo in the line-up to have a complete team of 18. “As Dynamos, in a season we play more games than any other team. We started with the Champions League then there are other invitational or four-team tournaments we would be featuring as well. “So we really need depth in any season and it is now better as clubs are now allowed to register 35 players,” Pasuwa said.